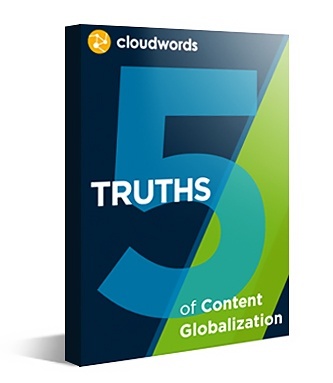 Do You Know the 5 Truths of Content Globalization? It takes more than an accent here or an umlaut there to turn content into a business opportunity. Download now and get some new ideas on managing your global content. Copyright © 2019 Cloudwords, Inc. All Rights Reserved.